Welcome to the Not Old Better Show, I’m your host Paul Vogelzang, and this is episode number 318. Today’s show is brought to by Blinkist . As part of our Art of Living, interview series, our guest today is Dr Sarah Akerman. Sarah Akerman, MD, is a Medical Director in the Medical Affairs department at Alkermes. In this position, she oversees the medical affairs strategy and lifecycle management for the company’s addiction therapies. Dr. Akerman is a board certified addiction psychiatrist with experience in research, teaching, and the clinical care of patients with substance use disorders and other psychiatric disorders. Our guest today, Physician Sarah Akerman is on the front lines of an important subject for our Not Old Better Show audience, the CDC’s latest report that Drug Overdose Death Rates are Increasing Among Middle Aged Women (here are resources cited by Dr. Akerman during the interview). The U.S. drug epidemic is evolving, including, and most dramatically among women. Studies have highlighted rising rates of drug overdose deaths among women aged 55–64 year and that from 1999 to 2017, the death rate from drug overdose among women aged 30–64 years increased by 260%. Drug overdose deaths involving antidepressants, prescription opioids, and synthetic opioids all increased. What does this mean, why are women vulnerable, and what can be done is the subject of our interview today, with Dr. Sarah Akerman, so please join me in welcoming to the Not Old Better Show, via internet phone, Dr. Sarah Akerman. 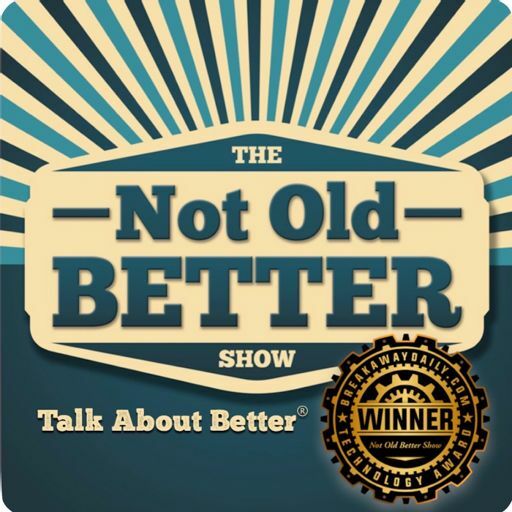 For more information about The Not Old Better Show, check: https://notold-better.com Please support the show, and go to: https://blinkist.com/NOBS to start your FREE trial.